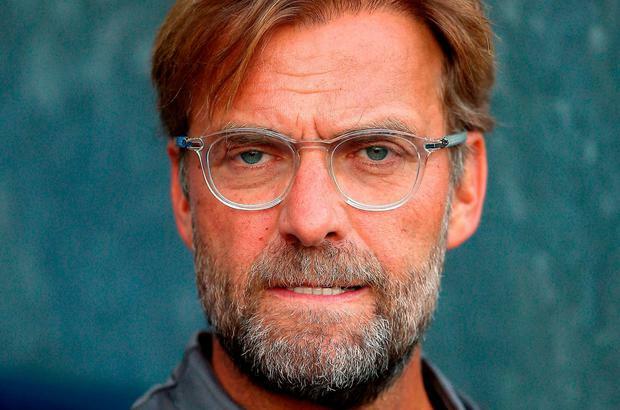 Jurgen Klopp has defended Liverpool's summer transfer business after he had previously said he would do things differently to big-spending clubs. Klopp's side this summer paid a world-record fee for a goalkeeper to sign Alisson from Roma in a deal worth up to £65million, while in January Virgil van Dijk became the most expensive defender in football when he arrived at Anfield for £75m. But two years ago, while Manchester United were set to spend a then record fee of £89m on Paul Pogba, Klopp had suggested he would quit the game if those large fees became the norm rather than the exception. “That’s the problem these days,” Klopp said. “Whatever bulls**t you say, nobody will forget it. On the other side, it is still kind of true. I couldn’t imagine the world would change like that from two-and-a-half years ago. “One hundred million was a crazy amount of money. Since then the world has changed completely and we have signed the most-expensive goalkeeper and all that stuff. “We don’t care what the world around us is thinking, like Man United didn’t care about what I said. It’s only an opinion in that moment. Did I change my opinion? Yes. That’s true. But it’s better to change your opinion than never have one. "Whatever people say and bring it up again and again, I have had worse days in my life and worse things happen to me. We have the players we wanted. I am fine with that." Alisson's arrival follows the signing of fellow Brazilian Fabinho from Monaco, while midfielder Naby Keita has joined from RB Leipzig and Xherdan Shaqiri from Stoke. Klopp added: "The world has changed completely. Better players than we already have are not waiting around the corner. You can't get the world-class goalkeeper who had a really long contract at Roma on a free transfer. "It is not for me to say we don't want to pay big money because in the end Liverpool is not successful. That doesn't work." Klopp also said that Mohamed Salah has come back from the World Cup with no problems. The Egyptian forward, who scored 44 goals in all competitions for the Reds last season, suffered a dislocated shoulder in his side's Champions League final defeat to Real Madrid. He recovered to play two games at the World Cup for his country, who lost all three of their group games in Russia. Klopp added: "He has fully recovered. We were constantly in contact (during the World Cup) and he was fine. Shoulder-wise, he had no problems. "He looks full of joy and is really happy to be back. It was nice to see him yesterday for the first time, the same for Sadio (Mane). They look very fit."